Early Childhood Education Phoenix: Practice Firework Safety! As summer celebrations and our nation’s birthday approaches, fireworks will be sure to be present at cookouts and family gatherings. While they’re a fun way to celebrate and make memories, they are still extremely dangerous and can cause serious burns. This post will detail some important tips to follow so your weekend barbeques and parties are safe for all ages. Even though summer is usually a time for kids to be out of school, you may still need a safe and educational early learning center to send your children while you’re at work. 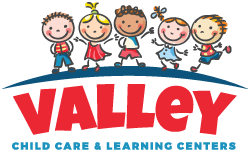 With 10 locations across Arizona, Valley Learning Centers offers day rates so you can customize our early learning center to your needs. Contact our helpful staff today for more information about our summer programs! Fireworks are beautiful and can take your breath away, but they should not be handled by children. Sparklers seem to be safe, but they can easily become too hot or a stray spark can cause a serious burn or even light clothing on fire. It’s important to keep fireworks away from children and only light them a safe distance away from other people. Make sure that the fireworks are stored out of a curious child’s reach as well. Being prepared for an accident can be the difference between a near-miss or an emergency room trip. If fireworks are being lit in a yard, for example, a bucket of water kept close can eliminate a dud firework or a small grass fire that could break out. Make sure that you inform every adult where the bucket of water or the garden hose is located. Remember to also have a bucket of water to put hot sparklers and fireworks in to ensure that no accidental burns or fires occur. Some serious accidents occur every year by individuals combining several different fireworks in hopes of creating a unique and never before seen fireworks display. Instead, taping or gluing different fireworks together can cause chemical reactions, an explosion, or even noxious fumes. Never mix different types of fireworks together. Another common mistake is that multiple fireworks are lit to create an incredible show but instead it turns into a catastrophe. If you’re planning to enjoy fireworks, only light them one at a time and make sure that you allow the firework to completely fizzle out before lighting another one. Unfortunately, summer clothing is not the best choice for being around fireworks. Sleeveless tops, shorts, and sandals all expose skin to the possibility of being burned. Make sure each child that is around the fun is wearing closed-toed shoes and isn’t dressed in loose-fitting clothing. Kids love to be in the middle of the action, which can lead to an accident. Only light fireworks far away from children, and don’t allow them to hold or play with other fireworks. It’s also essential to keep matches and lighters out of reach as well. Offering fun alternatives to kids is a great way to have fun without any threat of danger. It may seem a little unpatriotic, but enjoying a fireworks show that ends up in an emergency room visit isn’t worth it. These alternatives are a great way to still have fun and make memories without the threat of accidents. Around Independence Day weekend, hospitals and emergency rooms see an average of 10,000 injuries related to fireworks and sparklers. Many of these injuries could have been prevented, such as allowing a toddler to play with a sparkler that got too hot or a young child being allowed to shoot a Roman Candle by himself. Practicing safety around fireworks will hopefully reduce the chance of accidents and ensure that everyone attending your backyard cookout will be safe and have a good time. If an adult or child does become injured by a firework-related accident, go to the closest emergency room or hospital immediately or call 911 for an ambulance. Burns can be extremely painful and become infected quickly, so it’s best for a doctor to look at and care for any injuries. 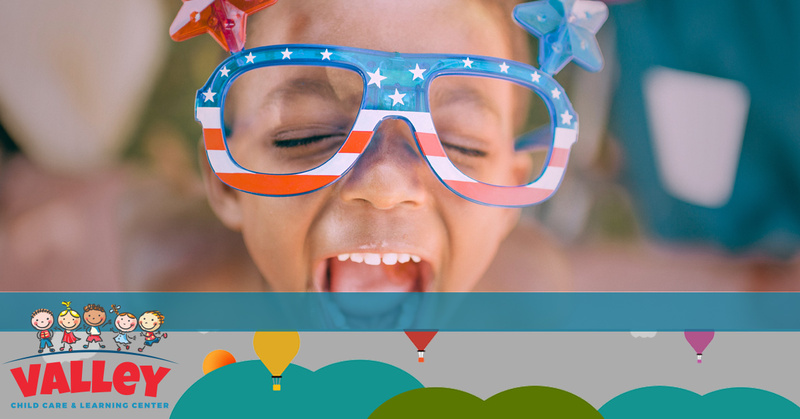 Practice fireworks safety this summer and don’t forget to call Valley Learning Centers in Arizona to enroll your child in our early learning center. We look forward to hearing from you!